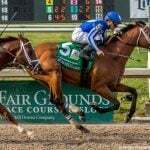 When War of Will continued his impressive conversion to dirt racing with a 2-1/4-length victory in last Saturday’s Risen Star Stakes at the New Orleans Fair Grounds Race Course, it propelled him one step closer to Kentucky Derby glory. 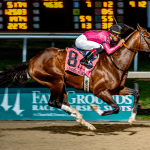 The Grade II stakes served as the first 50-point race in the 2019 Kentucky Derby prep race calendar, and it puts the colt atop the standings among Derby aspirants. It’s a meteoric rise, considering the son of War Front was still running on turf courses as a maiden just last fall when the Derby prep races began. According to TwinSpires.com, a Churchill Downs website, the win “virtually guaranteed” the three-year-old a spot in the 145th running of the Derby, provided he can avoid an injury in the next 75 days. The top 20 in the prep race points standings will be eligible to run on the first Saturday in May. War of Will may have answered the question of whether he’ll be in the Derby, but where does he belong among top contenders? When Churchill Downs completed its second round of Derby futures wagering on Feb. 10, the colt was the fifth choice among 23 at odds of 17-1. He started the round at 30-1. 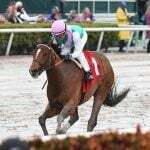 Game Winner — winner of the Breeders’ Cup Juvenile — was the 5-1 favorite, although the field, which consisted of any horse outside of the 23 named in the futures pool, posted 5-2 odds. The next round of future betting through Churchill Downs starts on March 8. At William Hill, War of Will stock also has picked up a lot of interest. Last month, the Mark Casse-trained colt had futures odds of 100-1. That was before he won the Grade III Lecomte on Jan. 19. Since then, his odds went down to 75-1, then 25-1, and after winning the Risen Star, they were 8-1 on Monday. What may impress bettors is the fact that War of Will started from gate 13 on the far outside to win his third consecutive race on dirt. “War of Will has the kind of tactical speed that is essential in a bulky field like the Derby, as he can cruise along in a forward position and then move when needed, avoiding the chaos further back,” wrote Jay Privman of the Daily Racing Form. 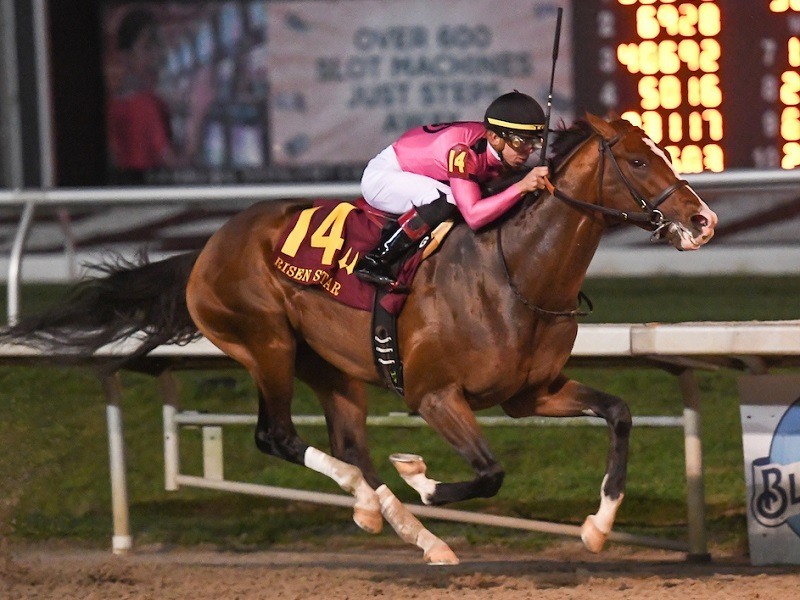 Casse told reporters after Saturday’s win that War of Will’s next race may come in the March 23 Louisiana Derby, which also will be run at Fair Grounds. The winner of that race will receive 100 points toward Derby eligibility. 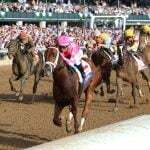 Demling said if War of Will races strong next month, it could set him up to be the second or third choice in this year’s Derby. The next 50-point prep race occurs in less than two weeks. The Grade II Fountain of Youth at Florida’s Gulfstream Park is likely to attract several Derby contenders, including Signalman, Vekoma and Code of Honor. A week later, the New York Derby prep circuit begins with the Gotham III Gotham Stakes at Aqueduct.